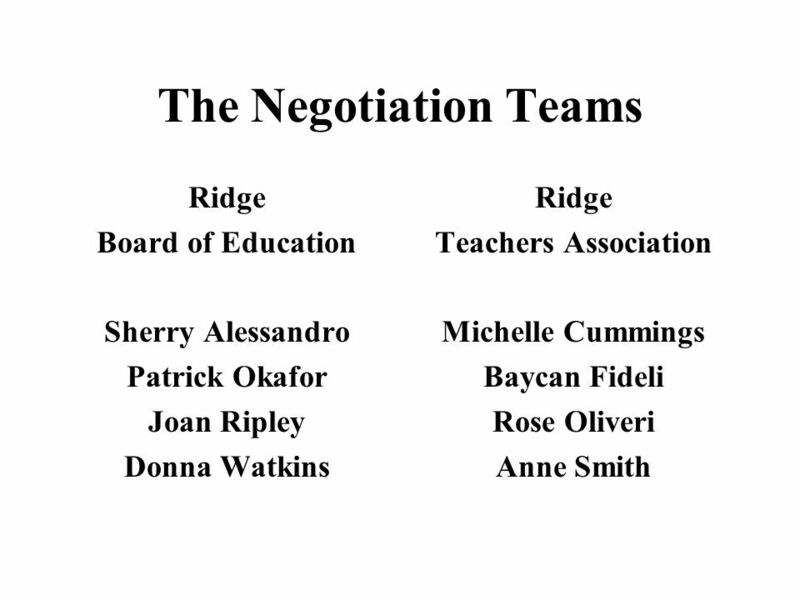 The Negotiation Process of Ridge Board of Education and Ridge Education Association. 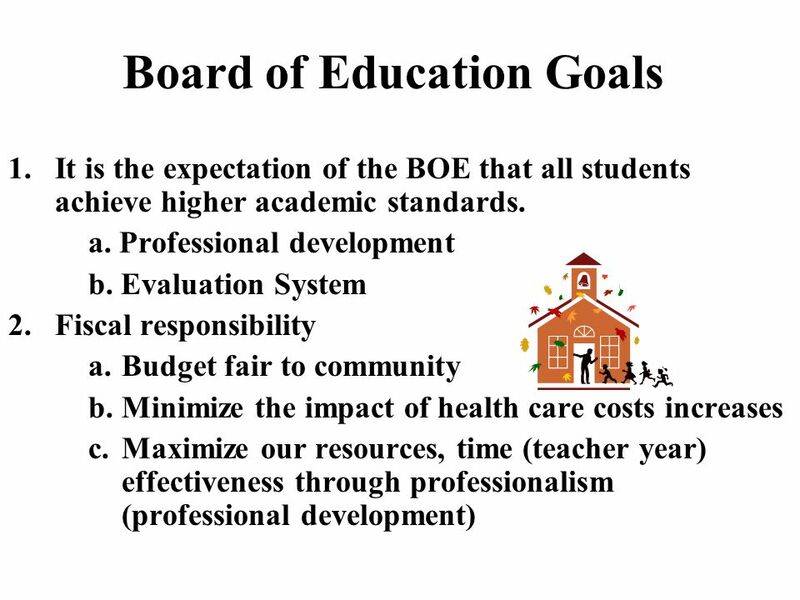 12 Negotiation Session -Health Care Costs BOE Goal – Fiscal responsibility to the community Proposal Comparisons Article V –p.21 Insurance program Negotiation Session BOETeachers Initial Proposal The BOE shall pay 80%, 70%, 60% of Insurance costs. 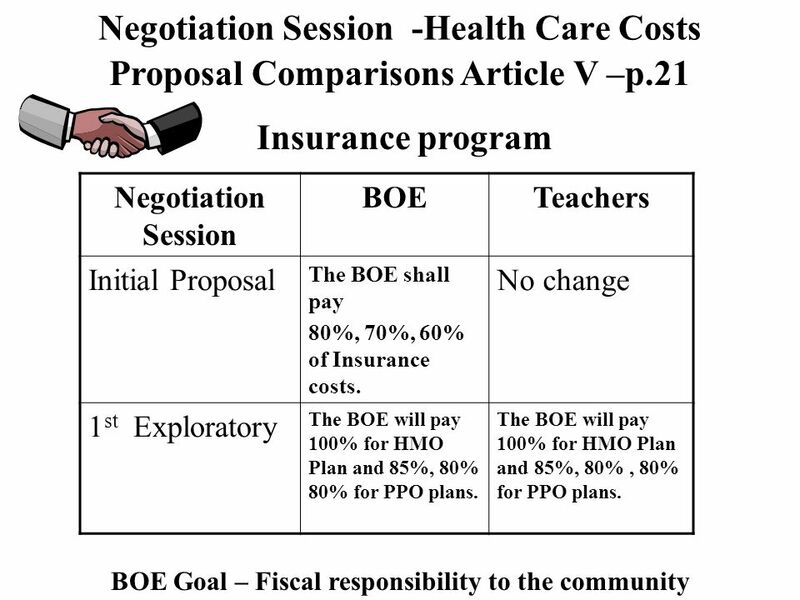 No change 1 st Exploratory The BOE will pay 100% for HMO Plan and 85%, 80% 80% for PPO plans. 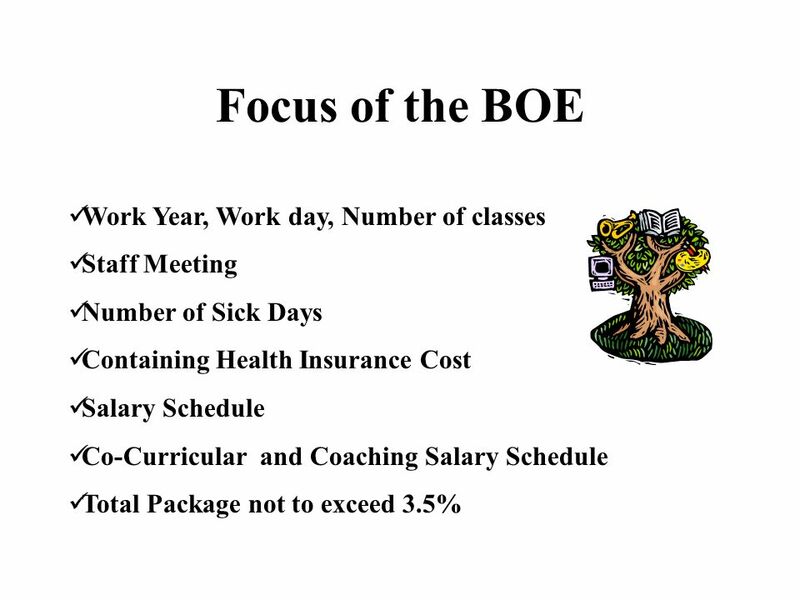 The BOE will pay 100% for HMO Plan and 85%, 80%, 80% for PPO plans. 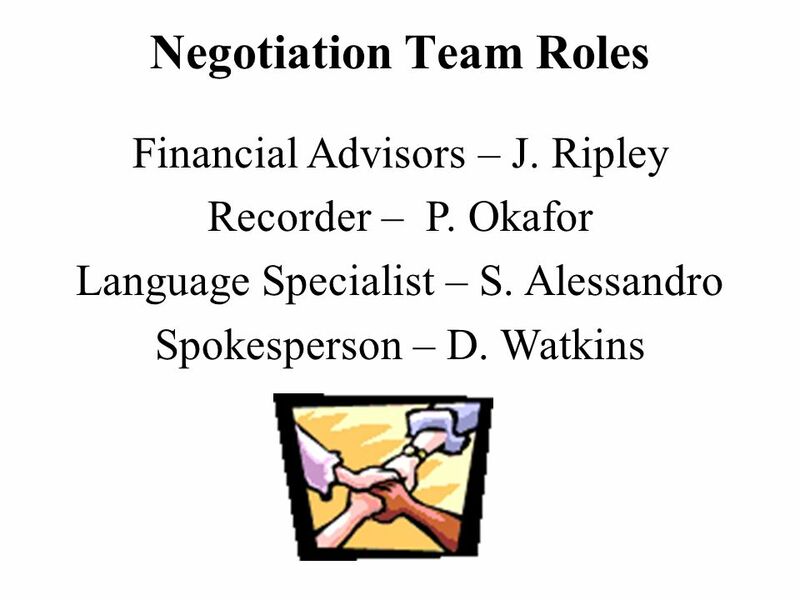 14 Negotiation Session – Settlement Article V – Sec. 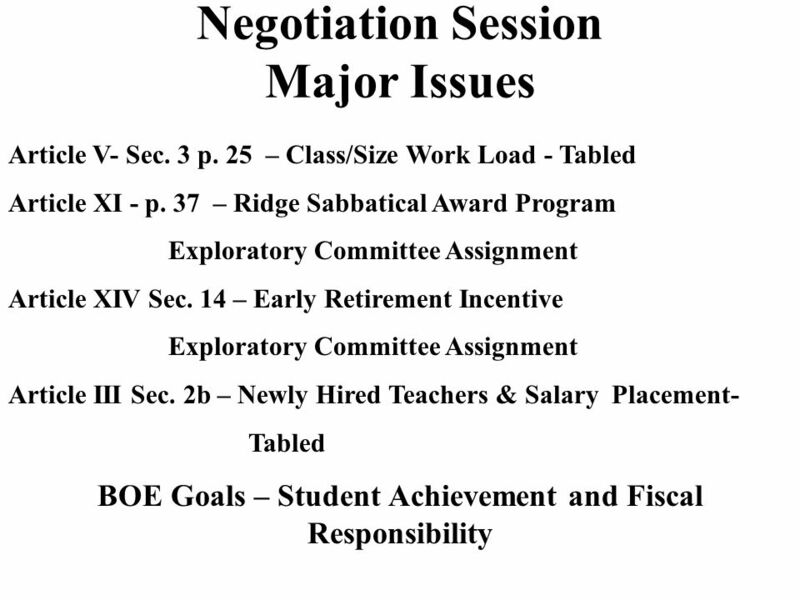 4 – p. 26 - Normal Working Hours Change of high school duty assignments Study halls – no change Lunch Duty – paid duty - $20/per period Bus and Hall Duty – no longer a teacher duty Professional Duty – mentoring, team meetings, etc. Article VI – Sec. 1 p. 26 Sick Leave – 15 days to 13 days Article VI – Sec. 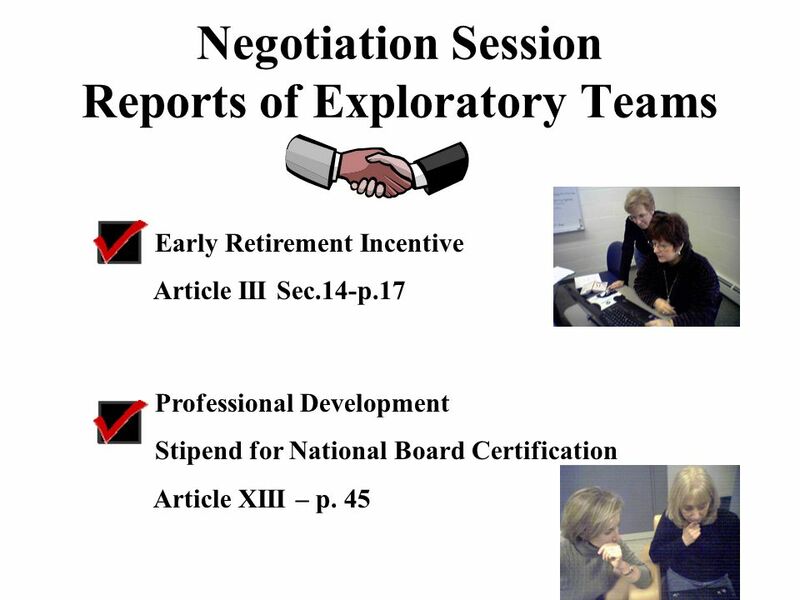 2 p. 28 Child Care Leave – up to one year Article XV – P. 48 - Miscellaneous - Evaluation Procedures– All formal and informal observations considered in evaluation. 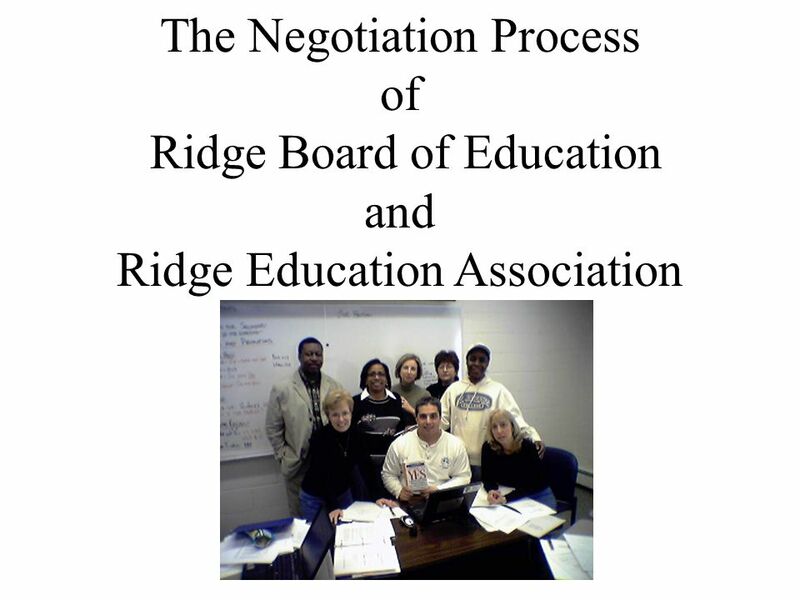 Download ppt "The Negotiation Process of Ridge Board of Education and Ridge Education Association." Your Master Agreement Use the Page Down Button to advance Use esc button to stop. Key Concepts for AmeriCorps. Session Objectives Provide an opportunity for participants to network in program specific group Discuss key fiscal and grant. State Literacy Teams An opportunity for IRA state councils to become more involved. 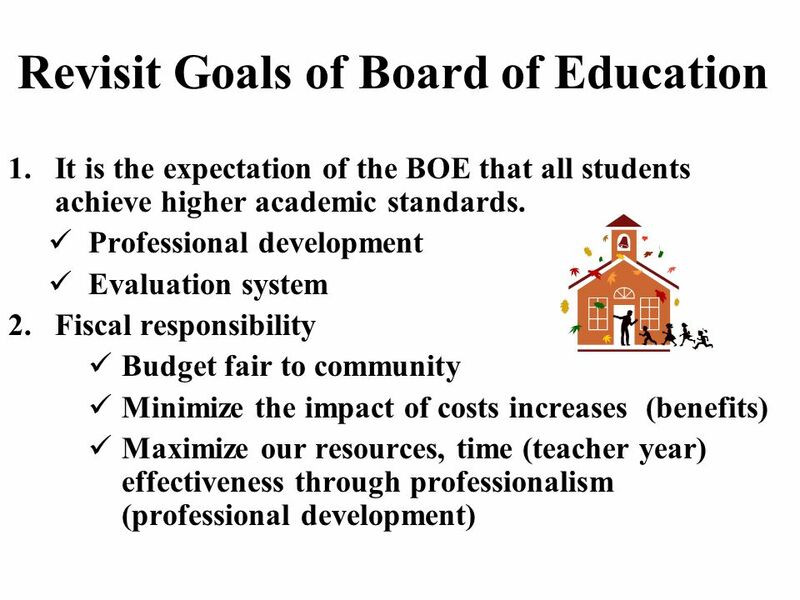 Act 51, Amended by Act 221 Reinventing Education Act for the Children of Hawaii, REACH Our Goal…Our Children…Our Future. FOP Impasse Hearing Board of County Commissioners April 20, 2010. Bargaining Under the New Law. How did we get here? 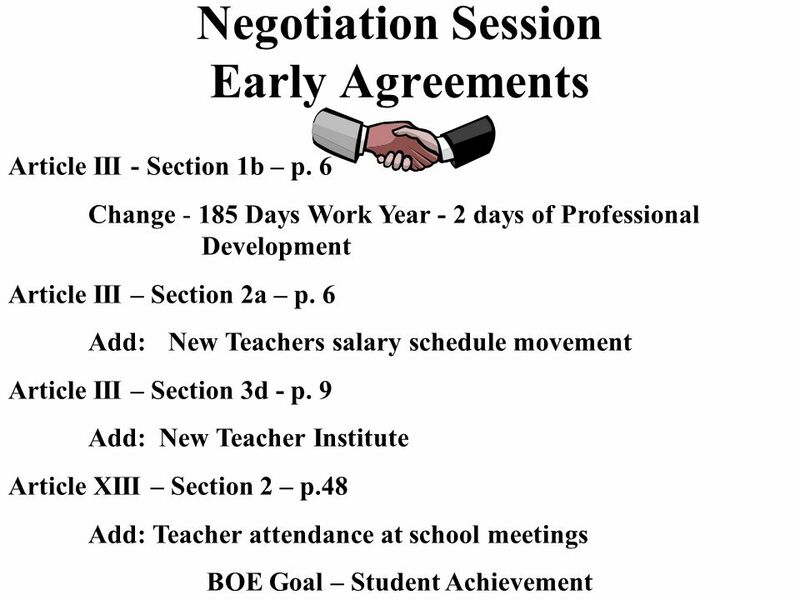 October 2010: ETA members ratify extension of CBA to June 30, 2014 February 2011 : SB 1 (collective. Update: Block Scheduling. Positive Impact Since the implementation of the Block scheduling in September 2012 to the present, November 2013, both high. What Is Cost Control? 1 Controlling Foodservice Costs OH 1-1. Employer pays monthly fees for all employees Key disadvantage = Pay regardless of usage 100 employees x $15/m = $1,500/month 100 employees x. 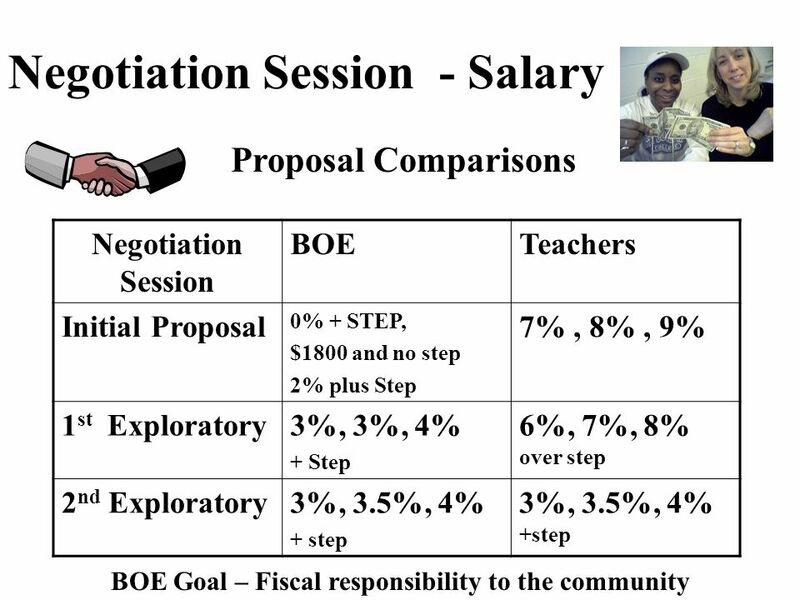 SCENARIO 1 Teacher Performance Incentive Objective 1 Student Success Objective 2 Effective Instruction Objective 3 Teacher Leadership Objective 4 High-Needs. 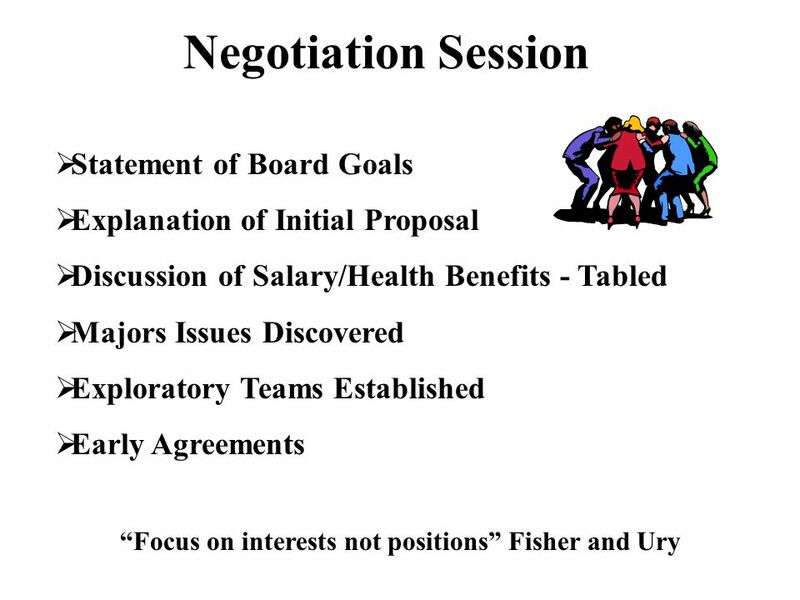 Unit A Informational Meeting Unit A MOA Summary and S/E Summary. August 2014 PART TIME COMPENSATION AND CLASSIFICATION PROCESS Module 1 Policies and Procedures. AB 806 – WILK FIFTY PERCENT LAW FINANCIAL ANALYSIS MAY 2013 MAY 15, 2013 AB 806 WILK ASSEMBLY APPROPRIATIONS COMMITTEE 1. Open Enrollment Benefits August 1 _ 31, 2014 Wylie ISD. 1 Teaching/Training as a Profession Module II. 2 Module II-Representing the Profession in the Community. Roles, Responsibilities, and Rewards of Teaching Agriculture.